We plan to have a giant ‘bring your own’ picnic in the car park after morning worship, so that we can be part of the fun going on in the town and everyone is encouraged to join us. and soft drinks.There will be games to play, we have skittles, ‘splat the rat’ and a set of stocks. Guess teddy’s name, Hunt the jubilee crown and count the sweets in the jar. Young people are doing a sponsored challenge to the Olympic 10,000 meter record. Opportunity to watch the Queen’s Water Pageant which will be projected live on the big screen in the church during the afternoon. All proceeds for Lideta, a poor community in Addis Ababa, Ethiopia who we support through World Vision. Taking time out to connect with the things that really matter can make a real difference – and give us a renewed zest for life. Join Christchurch’s musicians and singers in a musical exploration of the benefits of putting on the brakes once in a while. 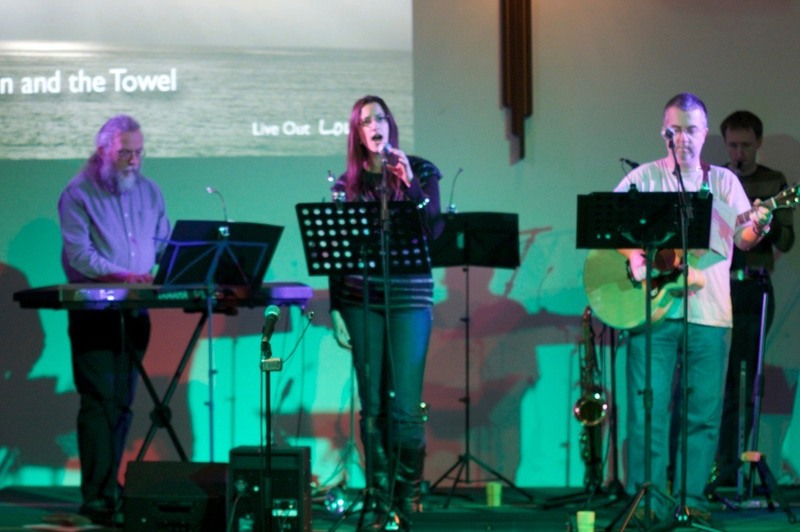 Live Out Loud is an occasional evening service at Christchurch. There’s no sermon, just an evening of contemporary music with a message as we explore what it means to live a life of faith in the 21st century. Previous services have included dance from our young people, acapella singing from our choral group ‘Take Note’, drama, newly written songs and projection of visual work by some of Christchurch’s artists. Fresh Ground is a Cafe type service which happens at Christchurch. The service is informal and is based around discussion on certain topics often helped along by watching a DVD.